Two years ago, one of us attended a Perspectivity Game session in Bangalore. By chance, the impact of this session stretched all the way to Edinburgh, where a clever game one of us remembered became the basis of a one-off event on sustainable development. This event transitioned to an ambitious plan of creating a Perspectivity group in Edinburgh as a result of the welcoming attitude and large amounts of encouragement from everyone in Perspectivity. Our major challenge in the first year is to create a sustainable group in the university environment, where most of our members have little experience and move after a few years. 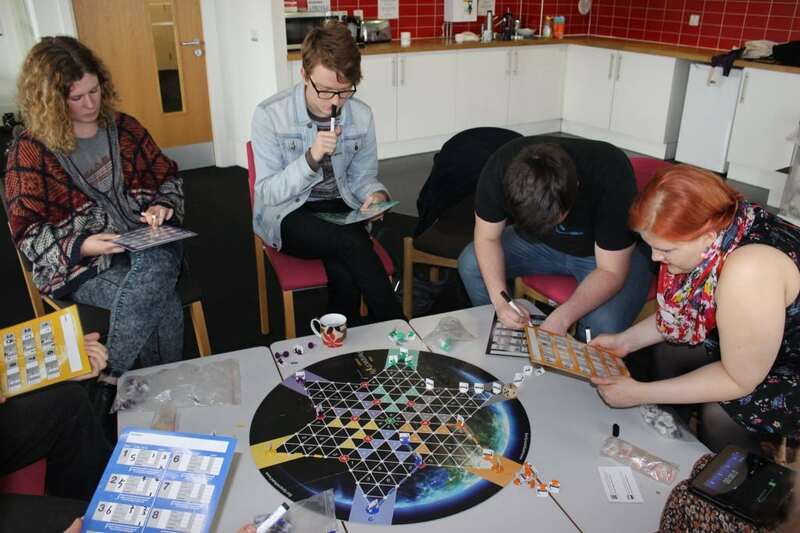 In partnership with societies and organisations in Edinburgh, we plan to hold at least 4 game sessions a year. These, in conjunction with facilitator training sessions and training opportunities from the larger Perspectivity network, will provide a basis for volunteers to get quick, hands-on training in both the mechanics of facilitation and the concepts that Perspectivity deals with. With a sustainable structure established around facilitating Perspectivity sessions, we want to eventually expand our purview towards creating systemic change in the University of Edinburgh in line with Perspectivity’s aims. As the semester begins, we are excited to start exploring the possibilities available to the Perspectivity Edinburgh Group.